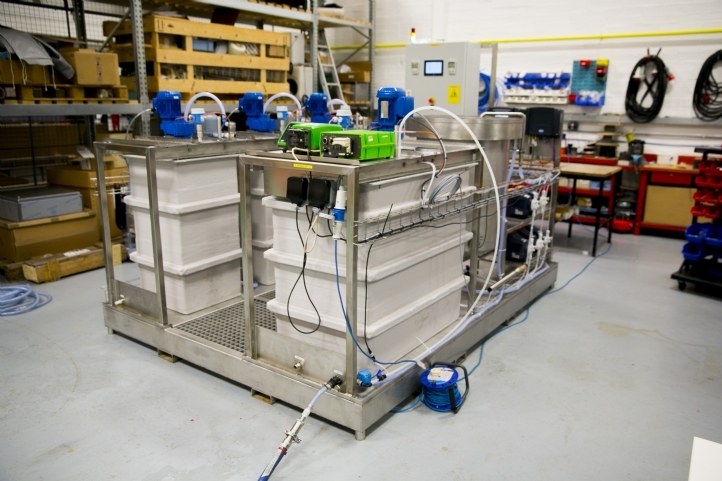 AquaEnviro - News - Innovation – Why use a pilot plant? Innovation – Why use a pilot plant? When designing a pilot-scale plant for trialling new technologies, it is important to be clear about what you are hoping to learn from the process, as this will influence the scope and requirements of the trial. Innovation is a widely used word, so much so that it seems to feature in almost every new product or service. Innovation can be defined as ‘the process of translating an idea or invention into goods or a service that creates value or for which customers will pay’ but, when we consider the route for new technologies to market in the water sector, this process of translation is far from easy. For a technology to be commercially successful and replicated across multiple sites, full-scale demonstration is critical. However, to get to this point, a series of scale-ups must be carried out from proof-of-concept laboratory trials to site-based pilot trials through to successful full-scale implementation. 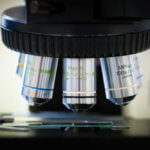 The costs of developing and demonstrating new treatment technologies can be high. Innovative processes typically start life in a university or research company laboratory. Laboratory treatability trials can be used to test a particular set of controlled conditions such as focusing on a particular wastewater, a set of conditions or chemical reaction. Once a significant level of understanding is achieved, it is often then necessary to scale this up to pilot scale, but it is important to fully understand the reasons for doing this as these will influence the scale of the plant, the scope of the trials and the monitoring requirement. Valuable lessons are learned when operating a pilot-scale plant that are used to determine if the technology is appropriate to be used for full-scale design and construction or if the technology is not viable to progress further. 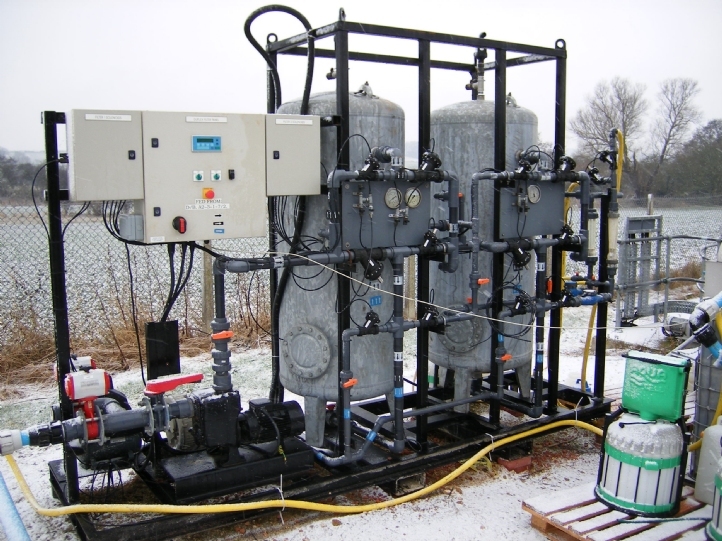 Aqua Enviro have been involved with many pilot plants over the years, which we have designed, constructed and operated. We have gathered together a cross-section of studies using pilot plants below with the aim of providing useful insight for future studies on potential issues and the criteria for successful outcomes. Table 1 gives a summary of the pilot studies and the outcomes with descriptions after the table. Project scope – Sewage sludge screenings pose an environmental and financial risk to water companies, with the current disposal routes of landfilling and incineration being expensive and unsustainable due to regulatory changes and risks/costs of disposal/treatment. The objective of this trial was to develop a cost-effective alternative to recover energy from the screenings and to facilitate a sustainable recycling route for the residuals after treatment. Project scope – The EU Fisheries and Farming Directive (FFD) stipulated much more stringent ammonia concentrations for those works that were regulated under the Urban Wastewater Treatment Directive (UWWTD). This programme typically involved the 12-month operation of a pilot plant at each works to come under the legislation to develop the design data for the most robust and cost-effective solution. The aim of this was to reduce costs and ensure future compliance. Project scope – This will involve the design, build and operation of many pilot plants to develop innovative process enhancements and resource recovery from minewater. The project involves delivery of a wide range of technologies including enhanced precipitation of metals from minewater. Project scope – The Water Framework Directive has set Environmental Quality Standards that will drive more stringent consents for ammonia, phosphorus and metals. In anticipation of these, Yorkshire Water wished to evaluate the potential to use ion exchange media technology as an alternative to conventional solutions. Project scope – The objective of the trials was to demonstrate recycled glass as a high-value filtration media in order to develop sustainable markets for these products. The programme was to evaluate recycled glass products for use as filtration media and reed bed support media in wastewater treatment applications. WRAP’s primary aim is to have a disruptive impact on current waste routes for glass and to develop new sustainable supply chains. Project scope – The objective of the programme was to demonstrate the production of high-value organ-mineral fertiliser from sewage sludge. The objective of this specific trial was to produce sufficient high-quality product for use in growing trials to demonstrate the fertiliser performance. Project scope – A textile manufacturer produces an effluent stream that is currently discharged to sewer without treatment. They were at the capacity of their discharge consent but wished to expand production. A high rate anaerobic digestion process was identified as having the potential to be a low footprint solution with the added value of producing biogas for use in existing site assets. Application of this technology to textile wastewater is a UK first, helping the manufacturer to be an industry leader in sustainability. Project scope – The client required a treatment process to ensure future trade effluent compliance and to facilitate future water re-use projects to enhance their sustainability and to provide resilience against future changes to trade effluent charges and restrictions. An anaerobic digestion up-flow anaerobic sludge bed reactor followed by a membrane bioreactor (UASB-MBR) was identified as the most appropriate solution as this would meet their sustainability criteria as well as producing a high-quality effluent suitable for passing onto advanced treatment processes for water re-use. Project scope – The chemical manufacturer currently produces an effluent which is pH corrected prior to being discharged to the river without further treatment. The pending EU BREF legislation for the chemical sector means there will be a requirement for biological treatment on the site to meet the future discharge consent conditions. A pilot trial is required to validate the design assumptions prior to moving into detailed design. We are able to provide a wide range of testing services to provide process modelling and validation. Find out more ..